Feel the Breeze, Experience Soothing Calm. 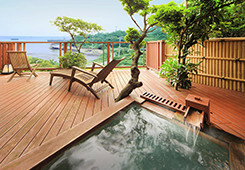 This soothing space is the part of Kazenosho closest to the water's edge. Reserve this private space that has four hot baths to relax and enjoy your own time. 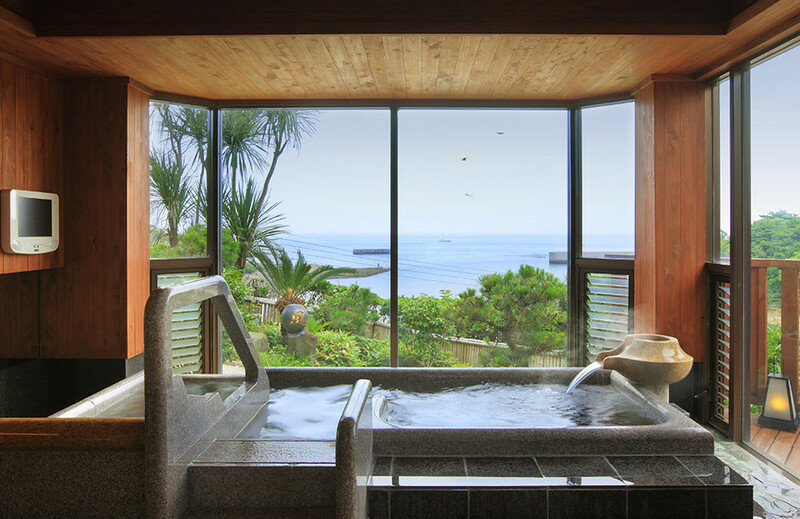 This soothing space is the part of Kazenosho closest to the water's edge.Reserve this private space that has four hot baths to relax and enjoy your own time. ●The prices below do not include tax. ●Please be aware that we reserve the right to refuse guests who have been drinking alcohol or whose health is in question. ●Children under the age of 13 are not allowed. In the morning and afternoon you can see the ocean, and at night a relaxing video is shown, healing the mind and body through a full sensory experience. 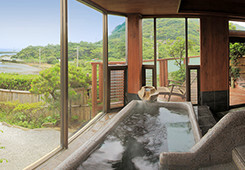 A private open-air bath for enjoying the scents of the sea breeze and tide under a starry night sky. 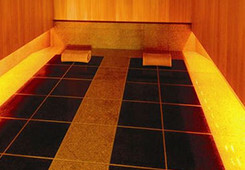 A person lies on a heated slab of rock for about 10 minutes, cools down, then repeats then repeats two or three times. The process stimulates blood circulation, generates high perspiration, leading to a positive physiological effect on the body. Please change into the special robes prepared at the entrance before using. Relax with a cold drink here after your bath or treatment. On nice days relax on the wood deck and feel the breeze. Aromatherapy has a mysterious ability to heal and restore one's energy. Foot massage stimulates the tsubo pressure points on the soles of the feet, considered a person's second heart. A facial treatment stimulates and promotes youthful, beautiful skin. Consult with our specialist before choosing a treatment that suits you. 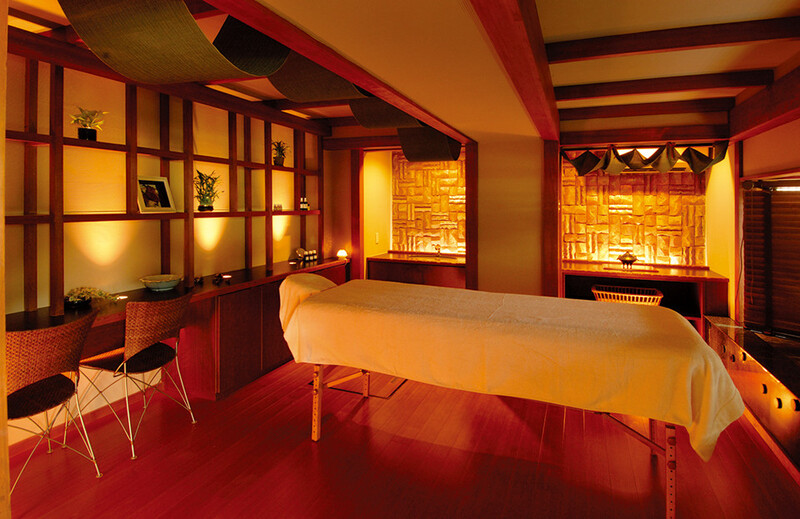 ●For two treatments at the same time, a reservation in advance is required. 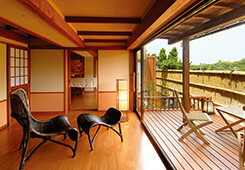 ●Reservations for two people together (60-min. course or longer) made a day in advance are eligible for 5% off (excluding Saturdays, Sundays and holidays, or through other campaigns). *Please remove makeup before coming for a facial treatment. Copyright © Hotel Sunosaki Kazenosho. All Rights Reserved.